Typical Domestic Babe: Happy Halloween! Happy Friday lovas and more importantly Happy Halloween!! I have been looking forward to Halloween all month long since this is our first Halloween in our new house. We live in a very family friendly community, and there are tons of kids in our neighborhood so I'm hoping we get a really good turn out of trick-or-treaters tonight! I've been slowly getting my front porch decorated throughout the month, and finally got it finished this week. I posted this picture over on my instagram account, but in case you missed it here it is! 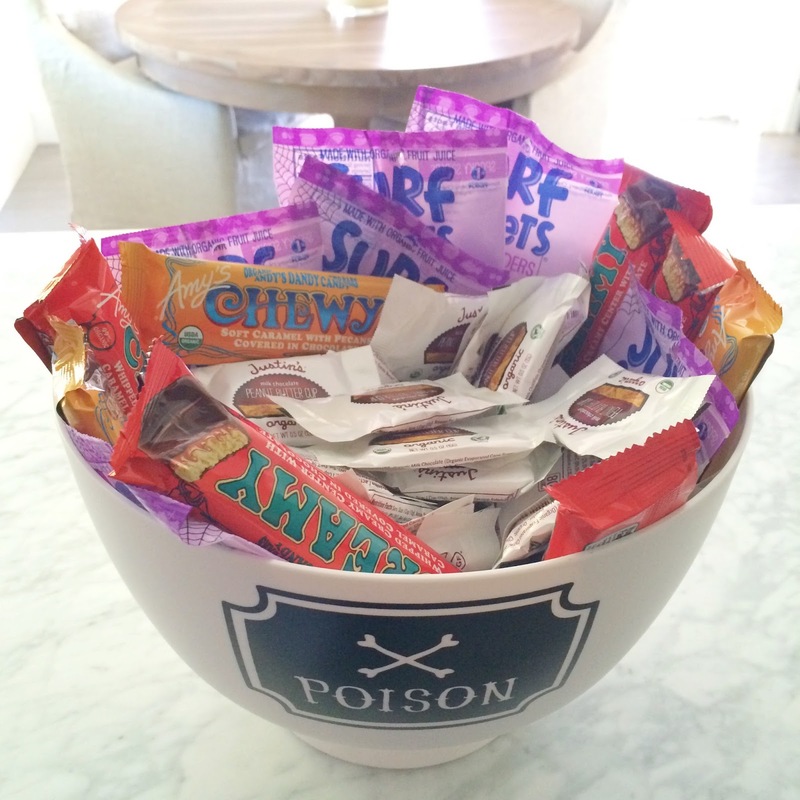 I picked up this "Poison" bowl from Target, and stocked it full of all organic candies. It has been SO hard to stay out of this for the past few days, and I'll be glad to give it all away tonight lol! Our plans for this evening involve staying in, passing out candy to the littles, and drinking a pitcher of apple cider sangria which I'll post the recipe for next week! 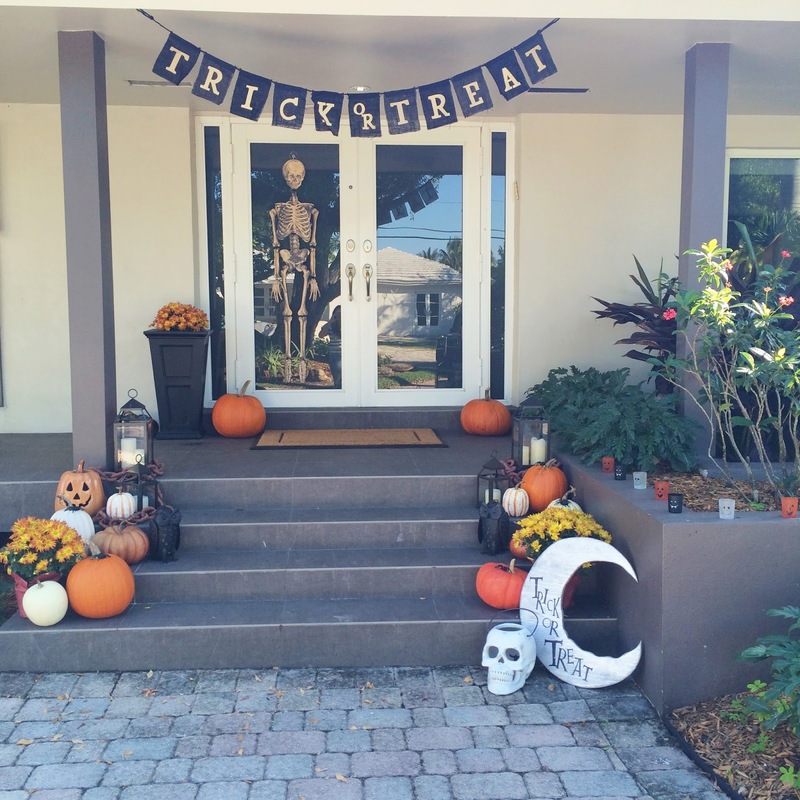 LOVE your Halloween decor, so classic! Where did you find the organic candy? That's amazing! I love the decor that you did for your front porch!! Hope you guys have a wonderful weekend!